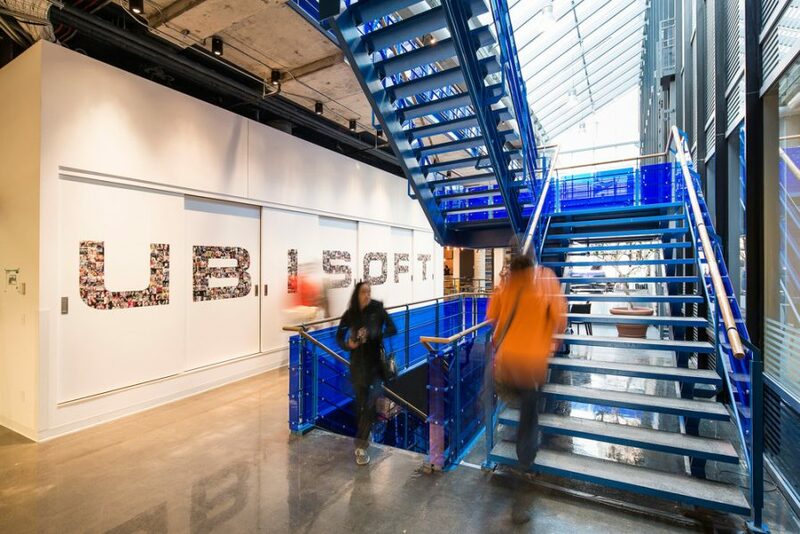 Ubisoft’s 400 video game creators located in Quebec City have been settling into their new workspaces since last May. An ambitious relocation project, the design of this new studio was done in an integrated way under the direction of the firm Coarchitecture, mandated by Ubisoft Quebec for this architectural challenge. Based on this integrated design process, the lighting was designed jointly by the architects and LumiGroup. Certain traffic areas and public spaces are punctuated by industrial and robust style lighting fixtures (Lightheaded and Viscor Lighting), referring to the urban landscape, such as Quebec’s alleys, parks and garages. In contrast, warm fixtures that are more residential style, mark some meeting spaces, or the dining room, for a more intimate and cozy feel.